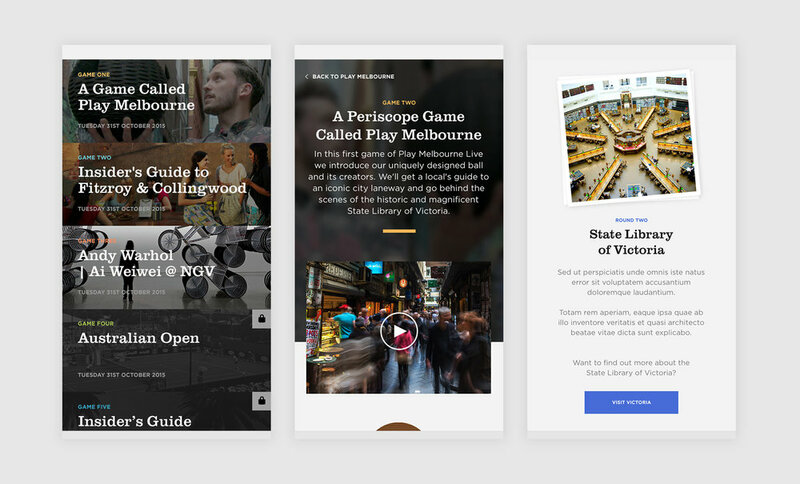 Play Melbourne Live for Tourism Victoria was a responsive design for desktop and mobile. The series of games streams footage of Melbourne city via Twitter's video streaming platform, Periscope. A template of the ball was available online - prompting other cities to join the game.